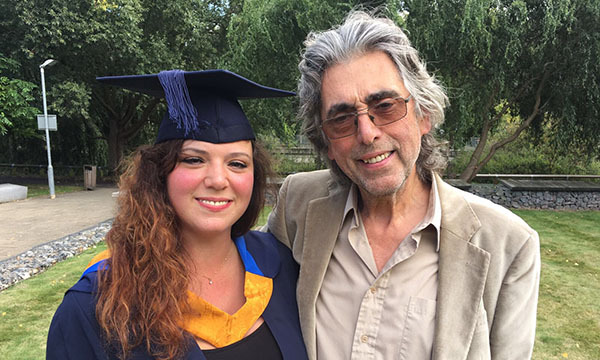 Her father’s life-threatening illness taught Jemma Lenkowiec the importance of keeping patients and their relatives informed. At the beginning of my third year of training, my 67-year-old father, a retired driving instructor, was admitted to an emergency department with sepsis. About a week earlier he had undergone elective laparoscopic surgery to remove a cancerous tumour from his abdomen, and was then discharged home. Three days later, I noticed he had developed signs of sepsis. He had a high temperature, increased respiratory rate, pain at the surgery site and lower than usual blood pressure. My mum and I called an ambulance and he was taken to the local emergency department at a different hospital to the one where he had undergone surgery. As soon as he was admitted, the ‘Sepsis Six’ was introduced. A bundle of six therapies designed to reduce mortality from sepsis, it involves administering oxygen, taking blood cultures, giving antibiotics and fluids, measuring serum lactate and monitoring urine output. According to NHS England, sepsis claims more than 36,000 lives a year in the UK, but compliance with the Sepsis Six care package has been shown to reduce the relative risk of death by 46%. There has been a real push recently to improve awareness of sepsis, both in healthcare and in the general population, and the emergency department staff were swift and thorough. I was at my father’s bedside with my mother, and despite the clinical monitoring taking place, neither we nor my father received much explanation of what was happening. We were anxious to know whether he would be okay and felt terrible as we waited to find out what would happen next. Not knowing who to ask for information is frightening and searching for answers from a bustle of doctors and nurses hard at work is difficult. After about 3 hours in the emergency department, my father was moved to a surgical emergency ward for one night and then an observation ward for half a day. After that he was moved to another ward, where I was undergoing my acute care placement, and where he was monitored for 4 days. He was also treated for a haematoma discovered during the sepsis investigation process. Now, 7 months on, he is back to his old self. This experience has changed the way I communicate with patients and their relatives. During training, a lot of emphasis is given to communication as one of the 6 Cs. Information sharing and building relationships with patients and their families is central to our role. As the daughter of someone who was seriously ill, I know that patients and relatives are looking ahead to the next step, just as nurses do in handover. After reflecting on the uncertainty and fear we experienced when we did not know what was going to happen, I keep in mind the need for open communication. I always aim to keep patients and relatives well-informed about their care, because I know exactly how it feels to be unsure.